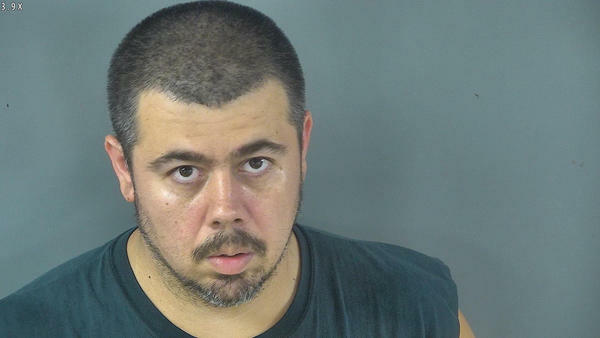 Nelson County sheriff’s deputies have arrested a man in connection to two shooting incidents on Monks Road Tuesday. 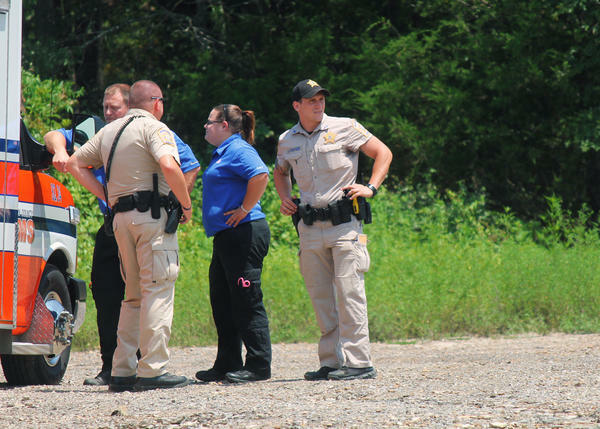 Deputy Sheriff Jarren Culver scans the area around Culvertown Community Park while Deputy Josh Greenwell talks to emergency medical personnel following a report of a shooting incident Tuesday afternoon. An arrest was made Wednesday. Joseph Michael Sepulvado, 35, who lives on Monks Road, is charged with four counts of first-degree wanton endangerment, one count of first-degree wanton endangerment of a police officer and being a convicted felon in possession of a firearm. He was arrested late Wednesday at his home by Deputy Sheriffs Jarren Culver and Josh Greenwell, and is being held at the Nelson County Jail on $50,000 cash bond. Sheriff’s deputies and Nelson County EMS personnel responded to Culvertown Community Park at 758 Monks Road just before 1 p.m. Tuesday to a 911 call about a shooting incident, but when officers arrived and searched the park and the woods around it, they found no evidence of any crime. Later that afternoon or evening, however, Greenwell got some new information, and “starting putting some puzzle pieces together,” and with the help of the victim, they were able to arrest the suspect, said Capt. Mike Clark of the Sheriff’s Office. Clark said the incident started as a “domestic situation” involving Sepulvado and his girlfriend, the victim. She left the residence with their 14-month-old child and went to the ballpark, where they argued again. He took the child and fired two shots at her vehicle and drove away. She followed him to Smith’s Corner, a bar at the intersection of Monks and New Haven roads, where there was another altercation and two more shots were fired at her car. She got the child back and left the scene, and there was a chase on New Haven Road. Sepulvado almost ran Culver’s vehicle off the road on Helsinki Hill, but he didn’t know at the time it was the suspect’s vehicle that had endangered him.